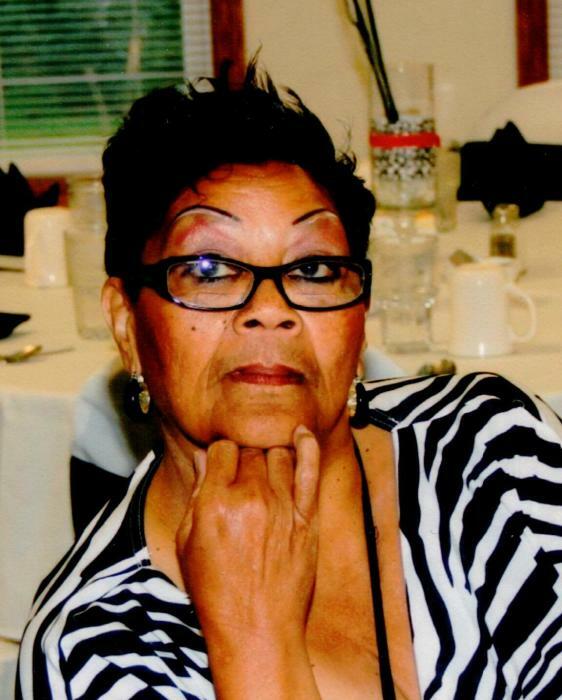 Obituary for Jimmie Lee (Anderson) Green | Hartzler-Gutermuth-Inman Funeral Home Inc.
Jimmie Lee (Anderson) Green was granted her angels’ wings on August 23, 2018. Her final weeks were spent with sons, sister, brothers and cousins that Jimmie had touched in some way throughout her life. Jimmie’s life would seem too short to many but those who were touched by her understood that the quality of existence far exceeds the quantity of time in which one lives. “Her smile”, although frail at the end, gave us all such courage and hope while reminding us of the preciousness of life. She loved to gather with friends and spend hours in her favorite chair and pajamas enjoying music, online shopping and putting things in order were also a joy for her. Jimmie was born March 5, 1949 in South Bend, Indiana to the late Lula Mae Anderson and Sterlan Winston Williams. Loved ones that preceded her in death, triplet sons, Anthony, Larry and Michael Green. by her mother and step-father Lula Mae and Thelbert Whitener, Jr., father Sterlan Winston Williams, grandparents Inez Anderson, John Lee (Della Mae) Williams. To cherish her memories, sons Daryl and Lamont, Jr. Green, Randal (La’ Jenita) Anderson of Elkhart, IN, Michael Anthony Green of Ashland, TN, sisters; Durethe Whitener of Elkhart, IN, Constance and Jacquelyn Williams of Dallas, TX, brothers; Glenn Whitener of Elkhart, IN, Sterlan LaMont Williams and Shawn Sanders of South Bend, IN. Grandchildren Drashea, Lamont, Jr. Michael Anthony, Jr., Alexis, Brittany, Cinnamon, and Lynette. Great-grandchildren Brianna, Ambrielle, Adrian, Mai’Love, Kehai. Service will be held at Hartzler-Gutermuth-Inman Funeral Home on Saturday, September 1, 2018 at 12:00 PM. with Rev. James A. Jackson, Sr. as Master of Ceremonies. Visitation will be held one hour prior to the service. Private family burial will be held. Online condolences may be sent at www.hartzlergutermuthinman.com .